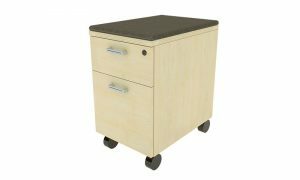 A file cabinet can provide an excellent way for you to keep the documents in your office organized and stowed in a safe location. If you’re looking to purchase storage options for your office in Alpharetta, Woodstock, Sandy Springs, or any other Atlanta, GA, area, turn to NorthPoint Office Furniture. As a one-stop shop for all of your office furniture needs, we provide a wide variety of furnishings that are made by some of the most trusted manufacturers in the industry, such as Cherryman, DMI, Global, HON, Martin Furniture, and other reputable brands. So, whether you need an assortment of new file cabinets to increase the storage capabilities in your office, or you’re looking to refurnish your entire office, NorthPoint has you covered. At our showroom in Roswell, GA, we have an assortment of file cabinet options on display that you can touch, open, and measure to help you find an option that works best for your office. We have cabinets in a number of different styles, including 2,3,4, and 5 drawer options, as well as a variety colors, such as black, brown, white, and beige, so we’re sure to have one that complements the interior design of your office and meets your storage needs. To see the selection of file cabinet options, office desk chairs, and everything else we have available, visit NorthPoint Office Furniture at our Roswell location today. We proudly serve businesses and homeowners in Alpharetta, Woodstock, Sandy Springs, and all other Atlanta, GA, communities.